This is a Whirlpool-built direct drive washer. It opens up a little differently from what you might expect. 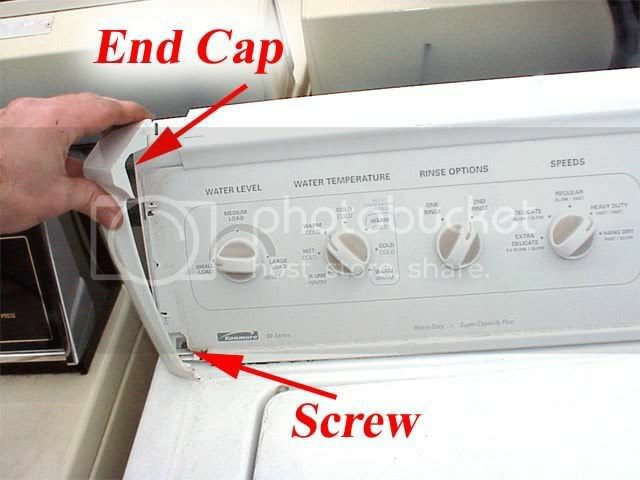 Many people, thinking the top panel pops up, begin ruthlessly prying on the seam between the top and front panel and only end up with a disfigured washer. I’ve seen more adventurous types actually remove the entire back panel, getting them no closer to what they were trying for. Let the Samurai enlighten you. Some Kenmore-branded versions of this washer use plastic endcaps to cover the console screws. Just remove the console end caps and the console retaining screws are right there. This technique is illustrated in this photo. Once you’ve removed the console screws, flip the entire control console up and back to reveal the cabinet retaining braces, shown here. 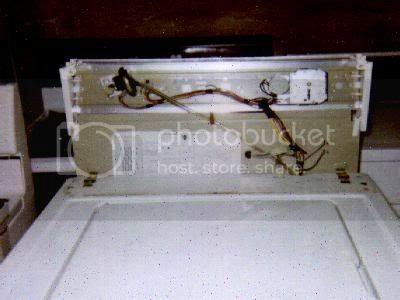 After you pull the cabinet back and away from the washer, here’s an illustrated anatomy of your naked washing machine. The lid switch is screwed to the inside of the cabinet top panel and is easily accessible with the cabinet removed. Replacing the cabinet is usually very straight forward but sometimes little snags can arise. Some helpful hints for replacing the cabinet are explained here. 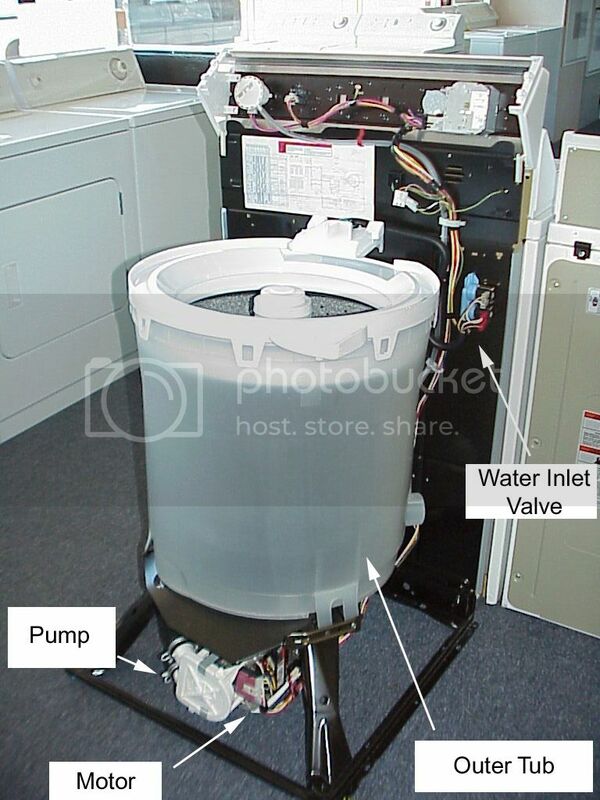 This entry was posted in Washer Repair on October 23, 2005 by Samurai Appliance Repair Man.